If you are a music fan and love listening to music, you can’t deny the fact that mp3 music downloader apps are some of the best Android apps available for the music lovers. And when we are talking about mp3 downloading apps for Android, there is rarely someone who doesn’t love Android music downloader apps. People love searching for new music, downloading mp3 music and either playing music offline or streaming music online. Earlier downloading free mp3 music from free mp3 download sites wasn’t an easy process as you had to download music on your PC and then transfer those mp3 files to your Android smartphone or tablets and other devices. But now things are different. Now you can download mp3 music to your Android phone and listen to music online as well. No matter whether you want to download mp3 music on your Android or listen to free music online without downloading – there are dedicated Android music apps for everything. Previously, I have shared best online music streaming apps for Android and iOS users. But what if you want to know about mp3 music downloader apps on Android? What are the Best Apps to Download Music on Android? If you ask me about the best music downloading apps for Android, I would say Amazon Unlimited Music app is my favorite. 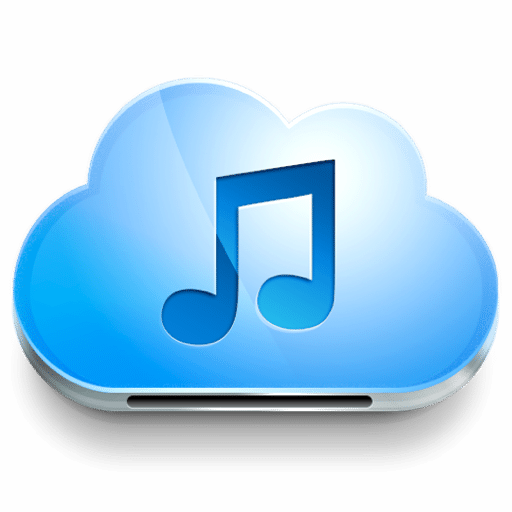 The music downloading app offers free music download for Android, PC, Mac as well as iOS. However, you need a premium subscription to enjoy unlimited free music downloads on all devices. Though the music download app offers 30-days free trial if you sign up using the above link. If you are not in a mood to buy a subscription for premium mp3 music downloader app that is best, there are other free music download apps as well. You’ll come to know about them in a few minutes. But before that, let’s learn how to download MP3 music on your Android phone. Before I proceed to show you the best apps to download mp3 music on Android, I want to ask whether you have heard the name “Google Play Music”? If not, let me tell you, Google Play Music is the official music player and downloader app for Android. Many people know Google Play Music to be one of the best music players for Android, but very few people know, Google Play Music is one of the best music downloading apps to enjoy free music downloads on Android as well. But unfortunately, it comes as a premium mp3 music downloader for Android. However, even if you have got a premium subscription for Google Play Music, you prefer listening music online rather than downloading them on your Android phone. Stream music on Android is not bad, however getting your favorite music downloaded offline is a better idea. Sometimes the music you want to download is the music you already paid for. It can be annoying wanting to hear your favorite songs and not be able to because you don’t have an Internet connection at the time. Go to music.google.com on your computer or Mac. Go to My Library that will be in the bar to the left. You should now be on the artist panel, but you need to go to the Songs panel. Click on the first song you have in your library and then scroll all the way down to the bottom and while you’re holding Shift click on the last song of your list. By doing this, you’ll be selecting the first and last song and all the songs that are in between. Once everything is selected, you should see a gray bar at the top and three vertical dots at the top right. Click on the dots and choose to Add to playlist > Choose New Playlist. Name the playlist whatever you want and then create it. 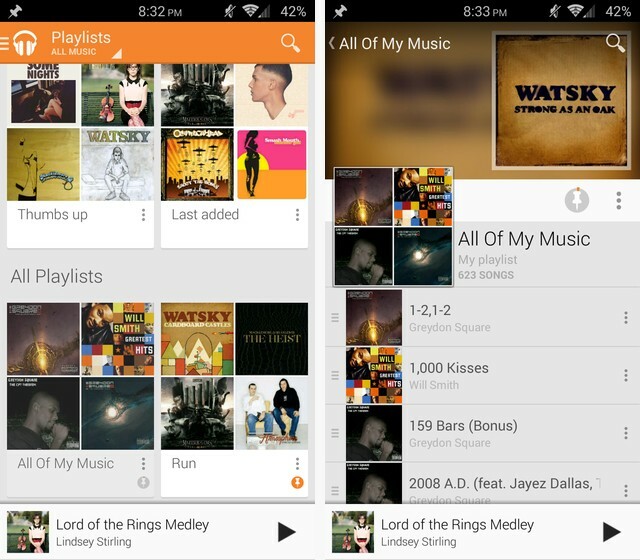 Now it’s time to open the Google Play Music app on your Android phone. Tap on the headphone icon on the upper left-hand corner to access the menu and choose Playlists. The Playlist header should read All Music but if you see On Device instead tap on it to change it. Look for the playlist you created before and click on it. Look for and tap on the pin icon and it should turn white and then slowly turn orange. The music is downloaded to your music once the pin has turned completely orange. During the download, you’ll see the progress of the music download. If you want to see, the downloads go to the Download Queue under the Settings menu. It would be a good idea to download over Wifi since it will give you a very high phone bill at the end of the month. That’s how you can download music from Google Play Music to your Android phone. But obviously, Google Play Music is not the only music downloading app for Android. In fact, there are many other free apps to download Mp3 music on Android. Let’s check out these best free mp3 music downloader apps for Android users to download free mp3 music. Many mp3 music downloader apps for Android are available; some apps come integrated with Android music player as well. Some of the best apps to download mp3 music on Android come with in-app purchases while others are entirely free music downloader apps. If you are looking for such cool Android apps, let’s check out these best free mp3 music downloader apps for Android users to download free mp3 music. Now download almost every type of music on your Android devices for free using best mp3 music downloading apps for Android. 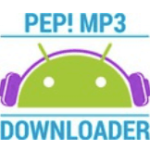 Free Mp3 Downloads is one of the best mp3 downloaders for Android. 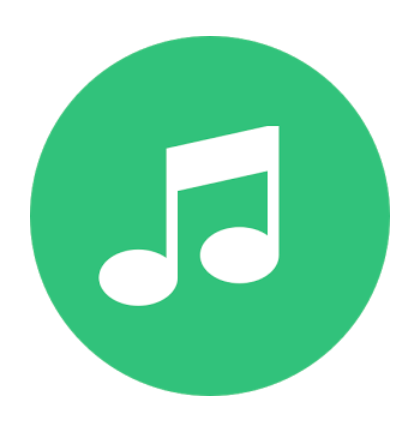 It allows you to search, download, and listen to songs that are licensed as “free to use.” Getting started with this mp3 music download app is easy. When you enter your search query and hit enter on the download tab, many mp3 songs appear in search results for free download. Tap on the song that you want to download, and the song is downloaded to “music-freeMp3Downloads” folder on your SD card. From the “Listen” tab you may listen to all songs downloaded using Free Mp3 Downloads app. Search your favorite song in the ‘Download’ tab and the app will start downloading it. This app can also be used as a music player because you can play downloaded music tracks within the application. Free Mp3 Downloads is available in many languages including English, Russian, German, Indonesian, Brazilian and Lithuanian. There isn’t any chance of pirated content in the app. Simple Mp3 Downloader is yet another best mp3 music downloader for Android, which lets you download unlimited songs in Mp3 format to your Android smartphone or tablet. Like Free Mp3 Downloads app, the user interface of Simple Mp3 Downloader is also easy. From the search tab, you may search tons of mp3 music of your favorite genres, artists or albums which you may also download from a single tap. However, the Downloads tab helps you find all the MP3s that you’ve downloaded on your Android. If you want to be on the safe side and download only authorized sound files, Music Paradise Pro will come to the rescue. 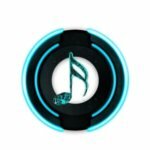 The Music Paradise Pro is a fantastic mp3 downloader app for Android, which lets you download copyleft music files from certain sources offering them. 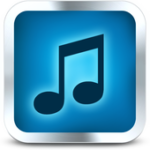 Music Paradise Pro is a free and fast simple mp3 downloader app. Copyleft means that it is legal for you to distribute the music file. So, you will have no problem with the legal rights to any song you download. Technically, when you are syncing and streaming audio files, you’re downloading them to listen. So, keeping that in mind, Google Play Music could be your daily driver to download/purchase songs and listen to them even if you are offline. Google Play Music can take care of your mood and play the songs based on how you are feeling or what you want to hear. You can browse radio stations even by genre, mood, decade, activity, and more. You can listen to them later using Android, iOS or the web, for free. By subscribing, you get access to over 35 million on-demand songs, an ad-free music listening experience, and a downloading feature to listen to songs when you are not connected to the internet. Google Play Music offers one of the best material design UI. So, if you are looking for a good looking Android music downloader app, this would be it. 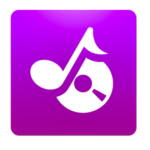 Music Download Paradise is a very popular music and sound search engine for Android users that lets you search and download sound effects and songs on your Android smartphone or tablets. This music downloading app for Android lets you search out everything from sound effects to ringtones and other short clips and then you may download them for free. 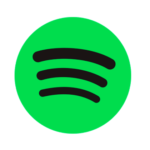 Spotify Music is a popular music app that houses millions of songs from all around the globe. You can search your favorite music by its name, artist, album, playlist or the username of other users who have uploaded it. You can even create your playlist and keep your favorite songs in one place according to your interest. Spotify has two types, Spotify free and the Spotify premium. The free version of the app allows third-party ads and lacks offline listening feature. Whereas, the Spotify premium version enables you to download unlimited songs and save them for offline music streaming. Another good news for Bollywood songs fans; I have got another good music downloader for Android which is quickly becoming one of the best mp3 music downloader app on Android platform. The music downloader app offers one month of free music downloads on Android, and you can download an unlimited number of songs for free. Though AirTel users get an extended free subscription of 6-months for mp3 downloading, you need to buy a premium subscription if you are a non-AirTel user. Wynk Music is one of the best apps to download mp3 songs for free on Android. You can listen to and download mp3 songs from almost all genre: Bollywood, Pop, Rock, Bhangra, Devotional, Emotional, Romantic, Party, Old Romantic retro songs. Also, listen to Punjabi songs, Tamil songs & music in other regional languages such as Bhojpuri, Rajasthani, Marathi, Bengali, Kannada, Gujarati, Telugu, & Malayalam using this mp3 music downloader app for Android. 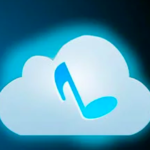 SuperCloud Song MP3 Downloader is a powerful mp3 downloader app for Android that allows you to download thousands of songs to your Android device quickly. This music downloading app also allows you to stream the songs and listen to music online on your Android devices without downloading. It is one of the good apps to download mp3 music for free. The excellent UI and useful features make it one of the most beautiful music downloading app for Android. 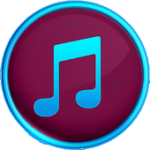 Music MP3 Download Free CopyLeft is yet another fantastic Android music app that allows you to stream and download any song you like. All you need to do to download a song using Music Mp3 Download Free CopyLeft is to have an internet connection. Leave the rest on this smart app! Using this app, you can listen to and download songs for free that are available under the Copyleft Creative Commons License. Music MP3 Download Free CopyLeft is one of the best music downloading apps among the many alternatives available to download and listen to free music on Android. Music MP3 Download Free CopyLeft also offers a download feature which helps you save the music tracks in your device storage for later. The search feature allows you to find any soundtrack by its name, artist, genre, album or type. Skull Mp3 Music Downloader Pro is a free music downloading app with integrated music search engine where you can search for your favorite music and download that mp3 song for free. If you are looking for one of the best mp3 downloader apps for Android with free music downloads, Skull Music Downloader Pro is the music app for you. It is one of the best apps to download mp3 songs on Android which also comes with an integrated music player. You can play the downloaded music using the inbuilt music player within this Android music downloader app. Skull Mp3 Music Downloader Pro app for Android comes with the set as ringtone feature as well which lets you set the downloaded music as ringtone as well. While testing this music downloader app to download music on Android, we noticed it being a bit slow. Hence, you’ll notice some lag while downloading mp3 songs for free using this music downloading app for Android. Music Maniac Pro MP3 Downloader makes it very easy to download your favorite music files on the go. It is definitely a must-have addition to an Android device. As an added functionality/service, it also lets you download ringtones for your device. As an added feature/service, it also allows you to download ringtones for your device. So, you can use it for a variety of purposes which includes searching for music and downloading it. Also, searching for a ringtone. Chances are you already know about this music downloading app for Android. 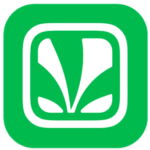 Saavn Music is one of the coolest music downloader apps with high-quality music streaming and downloading. 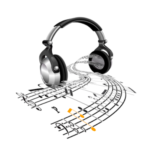 It has a huge collection of over 30 million tracks from Bollywood songs, Hollywood songs, and mp3 songs in Indian regional languages like Tamil, Telugu, Punjabi, Marathi, Bengali, Kannada, Gujarati, Malayalam, and Bhojpuri. You can download best film music, bhajans, ghazals, bhangra, pop, remixes, and much more. The music downloader app offers unlimited free music downloads on Android for free, however, with an in-app purchase of $3.99 per month. The free version of music downloader app comes with in-app ads, despite that you’ll love the quality of music this mp3 downloading app offers. The availability of international music and quality of music it offers is the reason why I’m keeping it on the list of free mp3 downloader apps for Android. Mp3 Music Downloader is a powerful music streaming app that lets you search and download high-quality music for free. The app features millions of mp3 music from all the countries covering multiple categories like rap, classical, rock, pop, jazz, etc. Users can search their favorite music tracks by names, artists, albums, genres, instruments, popularity, current mood and more. The app claims to have a fast downloading technique allowing you to download your favorite track according to the internet speed. With its built-in music player, you can listen to songs live or simply download them to your SD-card or local storage for offline streaming. 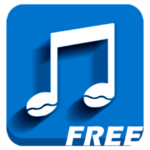 Trebel Free Music Downloader makes it convenient to download songs to your Android device. You no longer need to head to a torrent site or a 3rd party store to download your favorite music file. 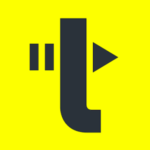 Trebel offers a huge database of songs, and you can download them for free. You also get the ability to play them offline, and as per our usage, it was fast enough. Besides, if you have a device that isn’t equipped with enough battery juice, you can still use this app with ease because it is entirely resource-friendly. The word “Gaana” is Hindi meaning of Song and refers to song tracks, primarily mp3 music. That’s what Gaana music downloader app offers you. 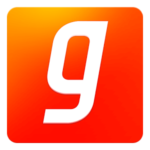 Gaana is a top-rated Android app to download music. Started as free music streaming app, Gaana introduced mp3 downloading option later which allows you to download mp3 music for free and brings it in the list of the music downloader apps for Android. It’s worth noting that downloading mp3 songs using this Android music downloader app is not entirely free and you need a subscription for that. However, considering the huge database of mp3 songs available for free download and synchronizing of your playlists and music tracks across multiple devices, it’s worth a try. Since Gaana is a top-rated mp3 downloader app for Hindi songs lovers, I won’t recommend it to you if you are English songs fan. However, if you are a Bollywood music lover and want to download mp3 songs for free on Android, must try this music downloading app. 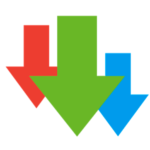 ADM is one of the most popular and best download manager apps for Android. It is an all-rounder download manager app which can be obviously used as an mp3 songs downloader app for Android as well. Advanced Download Manager is originally a free Android app which comes with the full functionality without extra charges. However, to support the developer and to get rid of the advertisements, it does offer a pro version to it. Also, you may observe some advanced settings accessible when you’re running ADM Pro on your device. Hungama is another best mp3 downloader app for Android that offers a huge number of mp3 downloads for free. The app features mp3 songs from Hollywood, Bollywood, Tamil, Telegu, and other regional Indian languages. It is one of the best apps to listen and download mp3 music for free on Android as it has a huge database of over 4 Million songs available for free downloads. However, not all songs have a free download option; you need to get a premium subscription which is again free. Here is a trick: listen to lots of music online, when you stream a song, you get credit point, you can use the accumulated credit point to buy a premium subscription for free. The best part of this Android app for free music streaming and downloading is that it also has a video player option. You can watch music videos for free using Hungama music app, and you don’t need a separate video player for Android. Looking for a premium mp3 downloader app for Android with free music downloads? This is the best Android music downloader you can get. 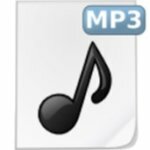 Download Mp3 Music is a reliable and fast mp3 music downloading app that allows you to stream and download any music track for personal usage. It covers millions of high-quality mp3 tracks, and the company claims this app as “one of the biggest free mp3 music storage point”. The search box lets you find your favorite songs by genres, albums, artists, and moods. You can easily download the tracks you like with its robust multi-threaded mp3 downloading engine. The downloaded songs can be saved directly on the device for easy sharing and can be transferred to other devices. Tunee Music Downloader is a free music download app for android users. The smartphone users can download different types of mp3 music from a variety of websites for free. The built-in search box allows users to search their favorite tracks by name, genre, artist, or album. The app also features a download option. If you like a song and want to keep it in your device storage for later, you can easily download it with Tunee Music Downloader. The interface of the app is user-friendly and straightforward. And, there are no hidden charges. 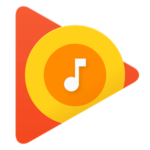 4Shared Music is a top-rated Android music downloader app that lets you search your favorite mp3 music file, create playlists, add your favorite tracks to the playlist and download them to listen to music whenever you wish. 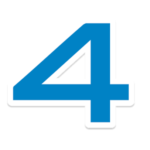 With 4Shared, you can search for your favorite music files and download them to start enjoying them. It even lets you stream music and videos. So, it comes down to your final preference whether you want to browse through a variety of available files to download your favorite music or simply to use it as a file sharing and storage app. It provides you with 15 GB of free music download storage where you may also upload your favorite tracks from your Android device to your 4shared Music. Pep MP3 Downloader is similar to other music downloading apps mentioned above where you can just search for your songs and then download as required. It is a good music downloader app for Android that helps you find the song you’re looking for. It lets you play the songs and preview it before downloading music on your Android devices. Also, it gives you the ability to check the file size before downloading to be sure of its quality. The music downloads are carried out through a different domain. We don’t know whether it relies on its download server but the download speeds offered are good enough. Omega MP3 Downloader is a rather simple app which presents you with a basic UI to search for music. It is easy to use this free music downloader app as it allows you to search songs using title or artist as the query. After you’re done searching for your favorite one, then you may download mp3 with a single tap on your Android device. It’s not just a download manager app, but it’s specifically for downloading music files. Well, you may not find all of the songs in its database, but it offers incredible download speeds for music. 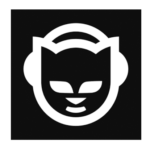 Napster Music is an online music streaming app by Rhapsody International. You can get access to over 30 million songs by subscribing to their services. It grants you to avail a 30-days trial period before they can start charging you. Napster Music is an ad-free and user-friendly audio app that allows its users to download unlimited songs and playlists and listen to them offline, whenever and wherever they want to. You can also follow other users having the same music taste as yours to listen to their music collection. Anghami is a music and audio songs app that makes you enjoy your favorite songs right on your mobile or tablet for free. 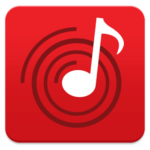 It is a music downloading app that covers millions of International and Arabic songs in its search list. You can also create your music videos with Anghami app and watch other exclusive music videos on it. With the music sharing feature, you can share your favorite songs on any social network. By subscribing to Anghami Plus, you can also download all of your favorite songs and listen to them anytime you want without being bothered by third-party ads. The developers claim Free Music to be the best music mp3 streaming and offline listening app. You can listen and download any song or music track from SoundCloud using Free Music app. This application requires no subscription, and there is no limit to downloads. You can make your playlists from millions of songs, or listen to your favorite song, whether the music genre is jazz, rap, hip-hop, rock, disco or classical. Having an intuitive and user-friendly interface, its music player features many options like the repeat, shuffle and fast-forward. The app also offers background playback just like the majority of other music streaming apps. 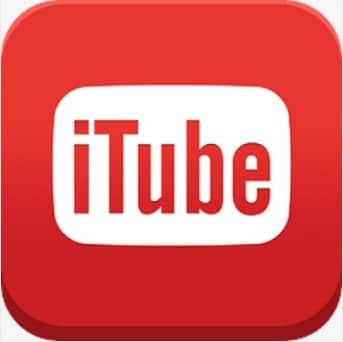 iTube Mp3 Music Download is a free Android music downloading app that lets you download free music fast. Since they don’t own any of the copyrights of music, so they allow you to download music on Android from public domains. Like many other best free mp3 downloader for Android, it also lets you search mp3 and download music for free with two simple steps – search mp3 and tap to download. Update: The Music Downloading App for Android – MP3 Download Player is no longer available. It has been removed from Google Play Store. 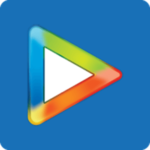 MP3 Download Player is a must-have Android music app that helps you find the song you’re looking for. It lets you play the songs and preview it before downloading music on your Android devices. It is easy to use free music downloads app that allows you to search for songs using a title or artist as query and then you may download mp3 with a single tap on your Android device. 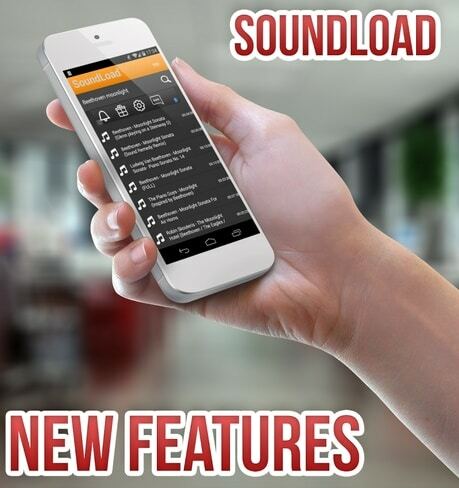 SoundLoad Mp3 Download is a powerful mp3 music downloader app for Android users by SoundLoad. Though SoundLoad is a premium Android music downloads app that lets you search and buy mp3 music online. Once you bought the song, you may then download mp3 on your Android devices. But it also contains tons of music licensed under “free to use.” You may download such music for free. However, the best free music downloader apps for Android that I have shared to download music are reliable, safe & secure as well as fast. So you may easily download latest mp3 music quickly on Android and enjoy unlimited music. Did I miss to add any other free Android music downloader apps? Add it using the comment box below. 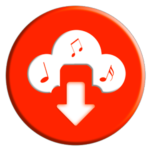 Music Downloader apps to Download Free Mp3 Music on Android phone, Tablets etc. Select Free Mp3 Downloading Apps from Best Mp3 Music Downloader Android Apps! Interesting artcile about free music downloader android apps ..Thanks for sharing this post and we will try to keep touch with your site. Previous: How to Get iPhone X Exclusive Ringtone on almost any iPhone?